USA Triathlon is proud to unveil the Legacy Triathlon, a sprint-distance race that will be held annually beginning July 20, 2019 in Long Beach — proposed site of the triathlon competitions at the Los Angeles 2028 Olympic and Paralympic Games. In its inaugural year, the Legacy Triathlon will feature a sprint-distance course (750-meter swim, 18.9-kilometer bike, 5-kilometer run) and will be open to 750 age-group athletes. Registration is now open, and no qualification is required! The long-term vision is to build this event into a multi-day festival that includes both age-group and elite racing — starting as an ITU Triathlon World Cup and ultimately becoming a stop of the ITU World Triathlon Series, the highest level of elite ITU racing. As the Legacy Triathlon grows, USA Triathlon plans to add components such as open-water swimming and running races (and possibly other summer Olympic sports like beach volleyball), community outreach activities, youth-focused events and live entertainment. Sign up today to be a part of the legacy. 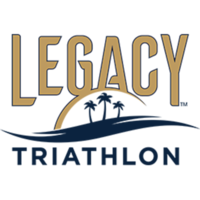 The Legacy Triathlon will enable USA Triathlon to contribute to Southern California’s Olympic lore and rich triathlon history by giving back to the local multisport community. USA Triathlon is the first National Governing Body to bring a new annual event to the Los Angeles footprint as part of the lead-up to 2028 Olympic and Paralympic Games. 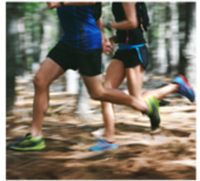 Our mission is to start building our legacy before, rather than after, the Games — starting at the grassroots level, and over time becoming a prestigious international event featuring elite and age-group athletes from around the world.